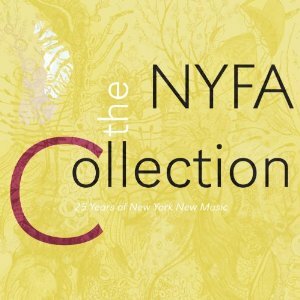 The Innova label has released “NYFA collection : 25 years of New York New Music”, a six hour 5 CD set devoted to recipients of The New York Foundation for the Arts’ fellowships in Music Composition and Sound. Thirlwell, who received a fellowship in sound and composition from NYFA in 2010, is featured on this collection, with the track “Ten Ton Shadow”. This huge and stunning collection also includes works by Annea Lockwood, Aaron Jay Kernis, Pauline Oliveros, Annie Gosfield, Meredith Monk, Elliott Sharp, Stefan Tcherepnin and many more. “Ten Ton Shadow” will also appear, in a different form, on the forthcoming Manorexia album.